Some vape traders are even handing out freebies to their customers. A StarMetro check showed traders doing brisk business, selling vape mods, tanks, drippers and juices. Some enterprising ones even allow potential customers to sample the different "flavours" of e-liquid. In Dataran Prima Pandan, near Tesco Ampang, up to 20 traders gather each night to sell their products. Most of them put out tables to show off their wares, while others sold them directly from the back of their cars. Several traders that StarMetro spoke to said they had no choice but to set up stalls by the roadside since they were not allowed to sell vape products at retail outlets. "I had purchased RM5,000 worth of stock before MPAJ said they would not be issuing any licence to sell e-cigarettes. I have no choice but to sell the products here to recoup my investment," said a trader when speaking to StarMetro. 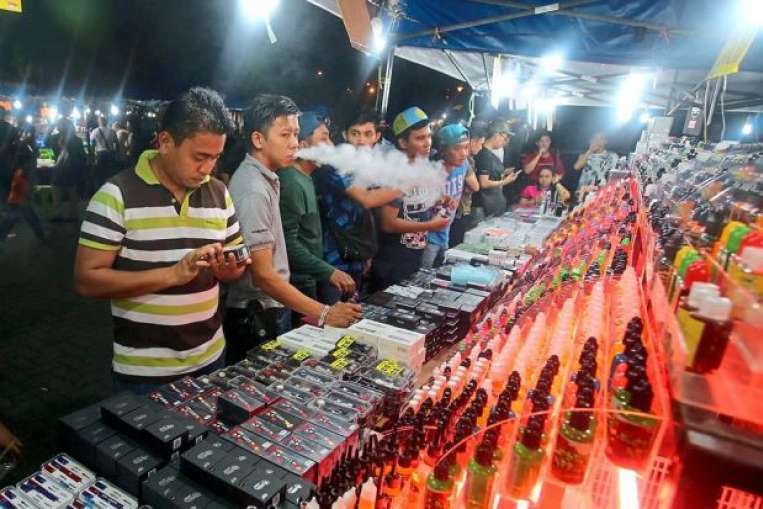 Another trader said it was not against the law to sell vape-based products as the state government had not banned them. “The vape traders are still confused over whether they can do business. As MPAJ is not giving out licences, we have to sell them this way,” he said. These traders who operate from 10pm until 2am daily have a good number of customers. "The ministry will check to see if the products are harmful while the council can take action as they are conducting business without a valid licence," said Hamid when speaking to StarMetro. He also said that most of these traders actually purchased their licenses to sell vape products prior to the crackdown and once the tenure of their licenses end they wouldn't be able to renew it. The clampdown has caused millions of ringgit to go up in smoke. The edict was issued based on the ‘Qaedah Saad al-Zarala’ method. Also, did you know that there's a new smartphone that doubles as a vape? Vapers, this is for you.